Go to category page which you want to search. In this page, you choose attribute you want to filter. It will load by ajax all results that is suitable with options. You can filter until you find the best suitablest result. Install extension as user guide. Configure extension: In admin panel, you go to STORE → Configuration → click on CMSMART EXTENSIONS → select Navigation. You can set some elements such as: filter option, filter display...Remembering to save config after each changes. 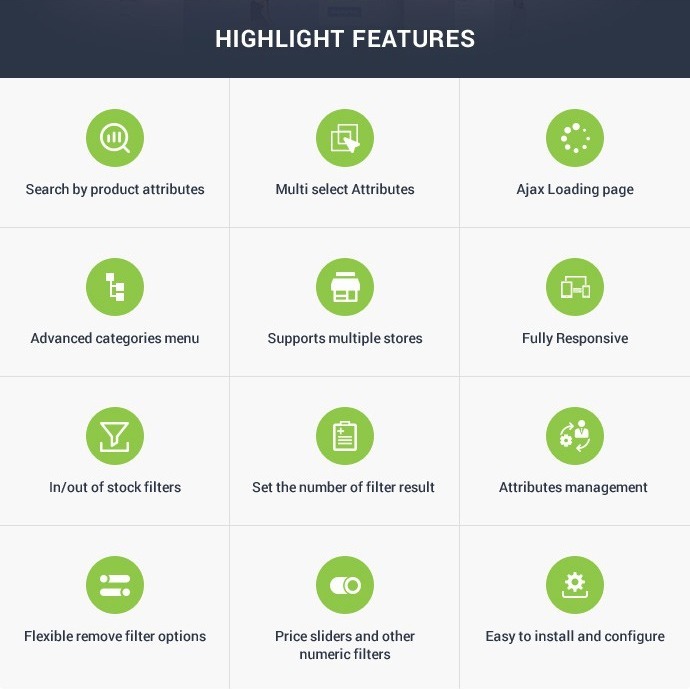 Ajax Loading page: Layered Navigation supports Ajax Loading page which makes all of the matching results appear instantly after filtering any product attribute instead of reloading a whole page.So, it save time and improve site performance better. 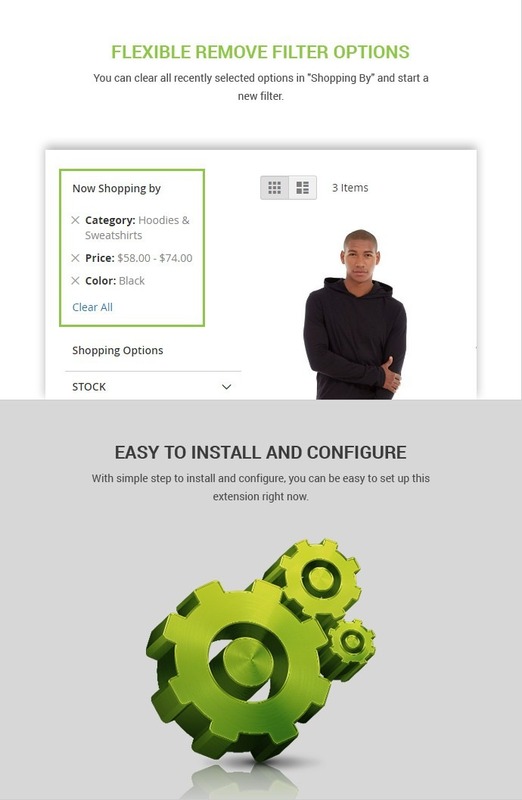 Price sliders and other numeric filters: Price Slider control allows your customer to select a certain price range according to their purchasing intentions.The slider includes the maximum and minimum price for all your products and you move slider to find the most suitablest price range or fill text box price. 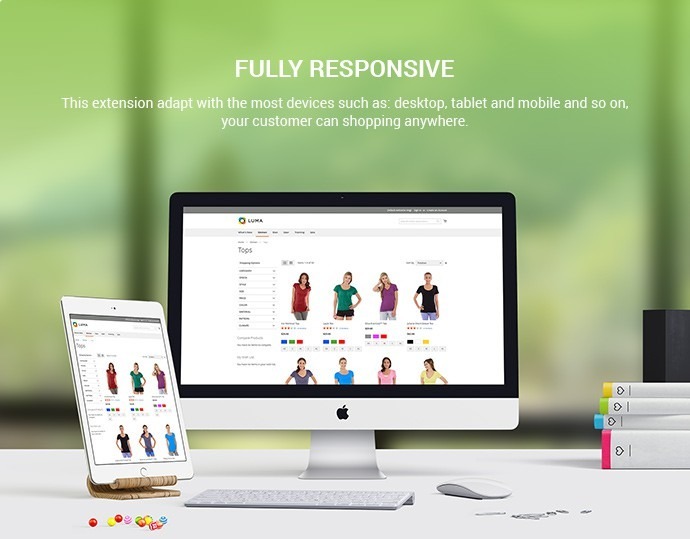 Fully Responsive: This extension adapt with theestmost devices such as: desktop, tablet and mobile and so, your customer can shopping anywhere. Attributes management: You can add new attribute for filter or allow nay attribute which can display in category to your customer filter throgh enable it in admin panel. 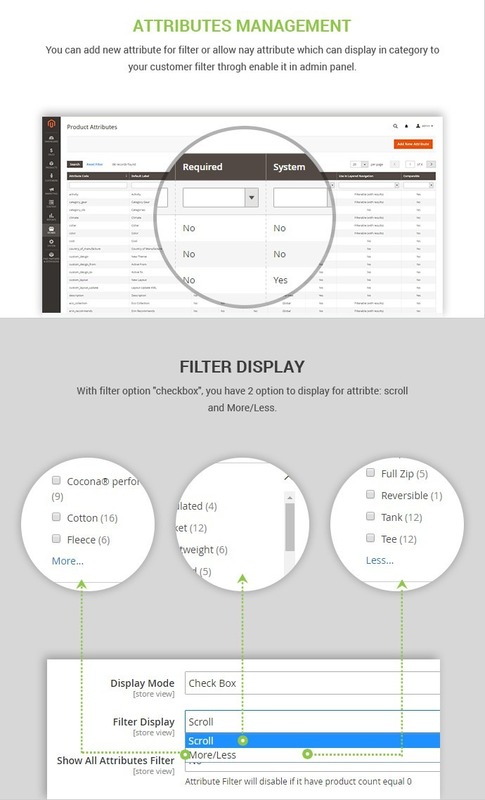 Filter Display: With filter option "checkbox", you have 2 option to display for attribte: scroll and More/Less. 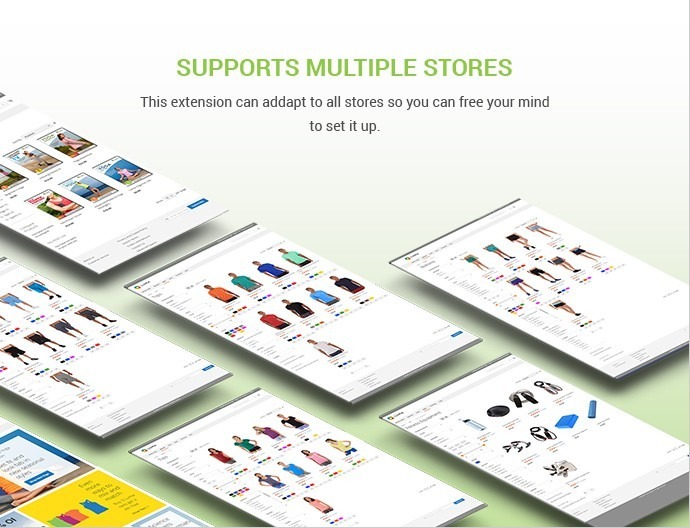 Supports multiple stores: This extension can addapt to all stores so you can free your mind to set it up. This is a very flexible tool for those who operate huge catalogs with dozens categories and subcategories. The support team was nice and patient, was trying to fix an issue that we have made in the first place. Choice different styles of layered navigation and can make our website beautiful for the customer. Easy to use. Really helps to our website. Thanks for CMSmart team, specially Victor for helping us to finish the site. Great Extension for Magento 2. We use this extension for all our webshops! From my experience, the products on Cmsmart themselves are very-very feature rich. The support is extremely helpful via email and Skype. And this time I choose this module, it works so well. I love it! 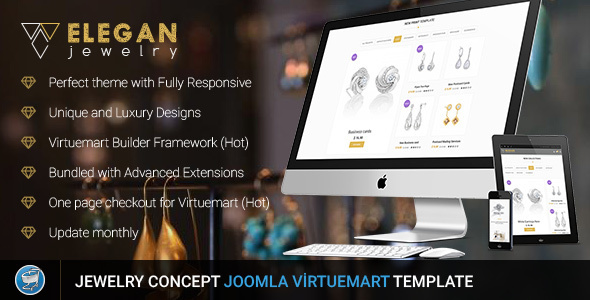 This plugin is good but your support related to resolve the problem in this plugin is much better. At the position of store managers, I know that customer behaviors are unpredictable. So, giving them what they look is like you are holding the key to success in your hands. Anytime you let them wait or be delayed, I beg that they will leave your store. It is undeniable that the designs and products sold in the store play an important role but customer satisfaction always depends on shopping experience and convenience. Therefore, shop owners always want their customers to get the products in the easiest and fastest way when shopping. 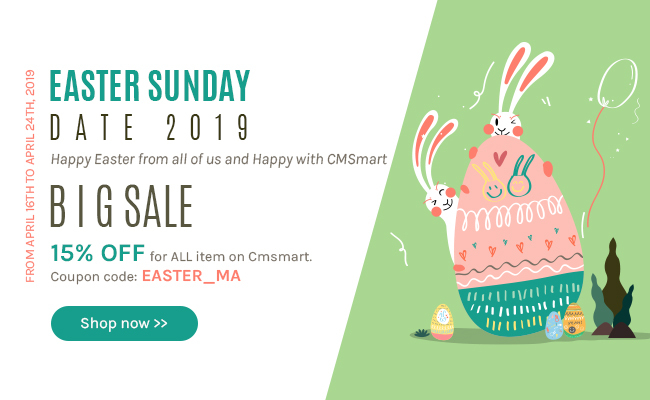 I saw a lot of shop owners find different methods to improvise customers’ way of browsing products and Magento 2 Layered Navigation Extension on Cmsmart is always preferred to narrow down search result. In short, Layered Navigation is the tool that facilitates customer to search products by using filters such as color, brand, material, size, price, category, etc. 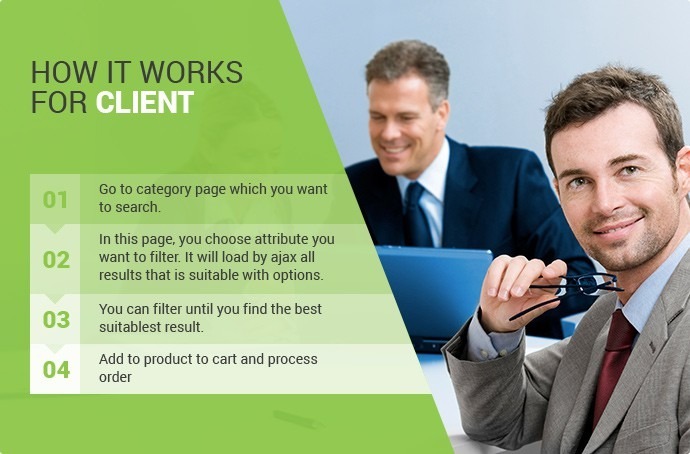 With filters, customers will receive the specific results related to their demands most. 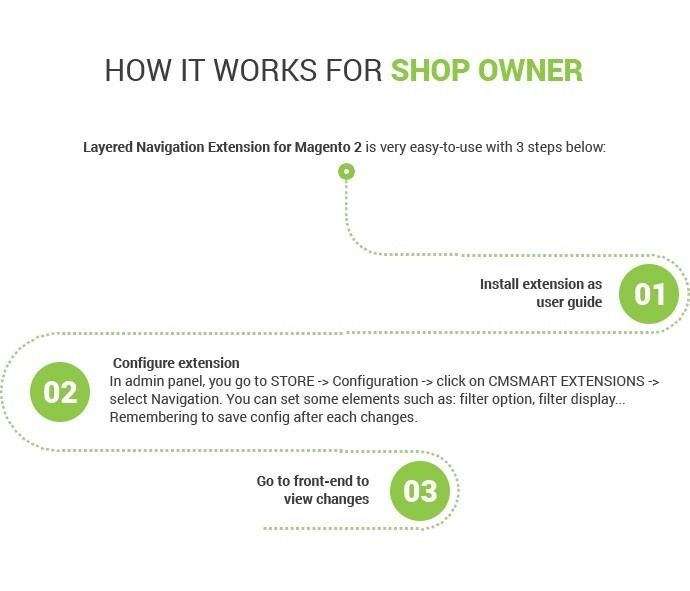 With Magento 2 Layered Navigation Approaching customers from the variety of sources: mobile, desktop, laptop, etc. You can display a category tree in many ways provided from various modes, for example in a dropdown, together with subcategories, static 2-level category tree with plus/minus controls, etc, hiding or moving category filters, excluding any categories from layered navigation. 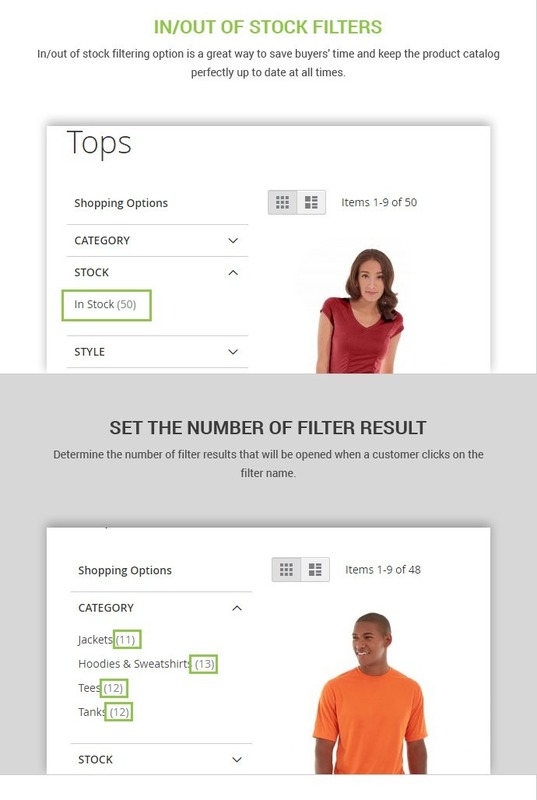 You can decide how many filter results will be displayed when customers click on the filter name. You can add a new attribute for filter or allow any attributes which will display in the category by enabling it in the admin panel. There are two ways to display attribute: scroll and More/Less. 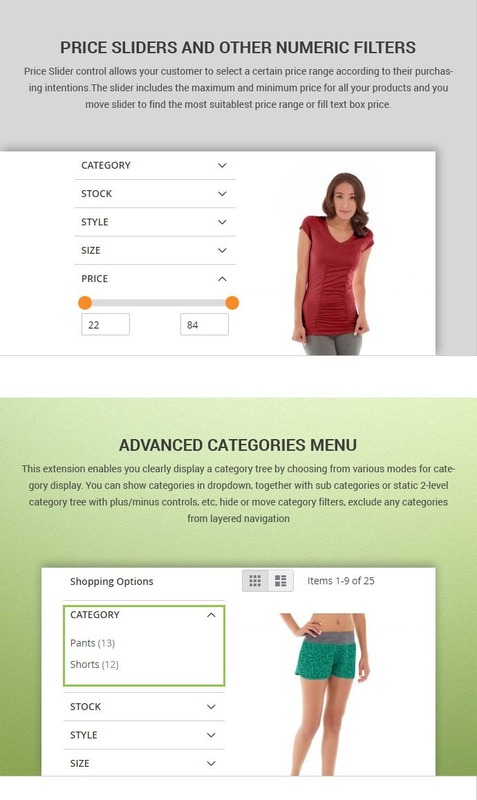 You can set up Magento 2 Layered Navigation for your site freely follow your style because it can be adapted for any kinds of stores. 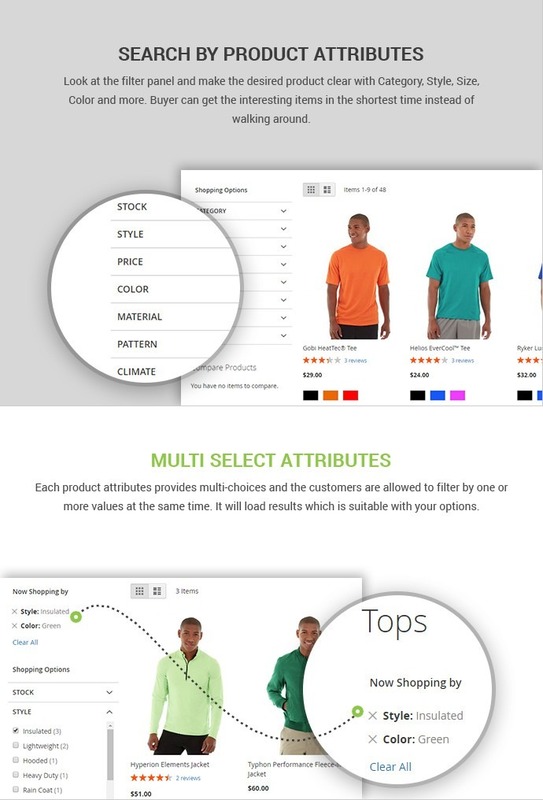 Customers can save a lot of time when searching, they can search by filter Category, Style, Size, Color and more instead of walking around. 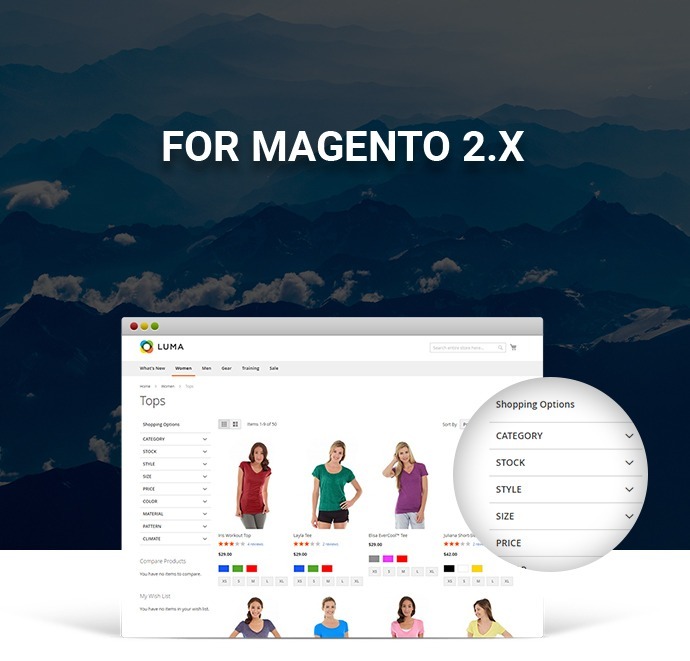 With Magento 2 Layered Navigation extension, your customers can select a certain price range according to their purchasing intentions including maximum and minimum price for all your products. 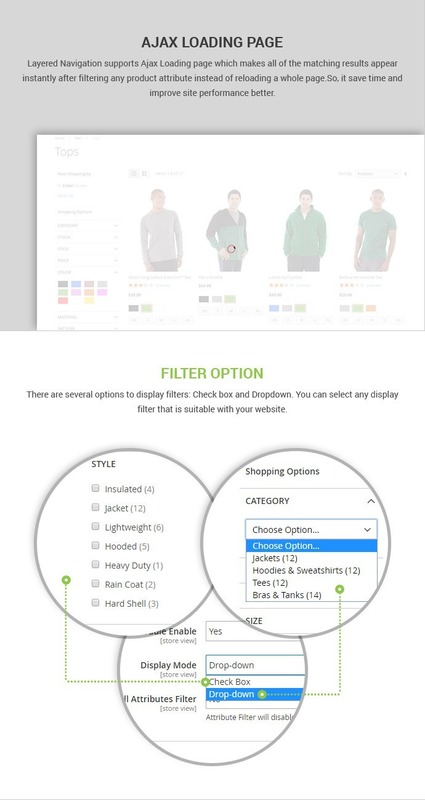 Just by selecting SHOPPING BY button, customers can clear recent filters and start new ones.